In an ideal world, one would grow all the fruits and vegetables that one could possibly need for canning, jamming, fermenting and freezing on their very own homestead. Organically, of course. But this is the real world. In the real world, maybe your garden was eaten by rabbits or never quite got planted. Maybe you don’t even have a yard, but the idea of putting food by is appealing. So you pick out a few simple recipes, head out to the nearest farmers market, do a few calculations on the price of beautiful baskets of heirloom tomatoes and, clutching your chest, head over to the baked goods vendor so you can recover with some homemade strudel. It’s time to get creative. Here are three proven techniques to get the fruits and vegetables you want for a fraction of the price, even if you don’t have the time or skill to grow them yourself. Mooch off your friends, neighbors, and relatives. Funny thing about gardening; when you’re planting tomatoes, the plants seem so small. Might as well plant a whole flat. But then they all ripen at the same time. Aaack! Here’s where you can help. 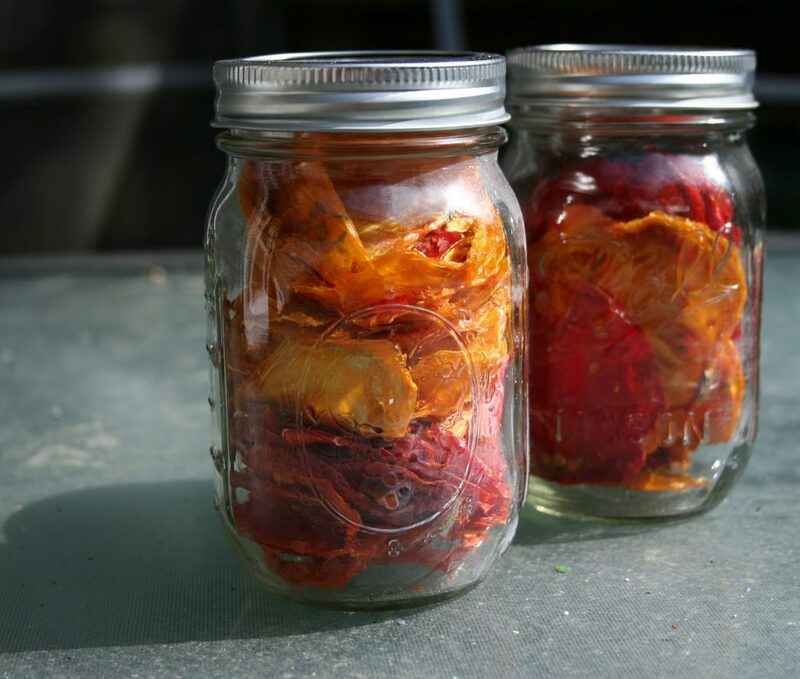 No one likes to throw food away, so you can let the gardeners you know that you would love some of their extras for canning. Have a date in mind and let them know so they will be relieved to know that on X day, they will be able to get rid of everything at once. Usually the fruits and vegetables you see proudly displayed at the farmers markets are the cream of the crop. Bumps, bruises, and discolorations that don’t affect the taste at all are considered “seconds.” At the peak of the season, you can sometimes find signs for “seconds” or “jam quality” or “canning” produce. These are usually discounted and work fine since you’ll be cooking them and mashing them anyway. If you don’t have time to scour the farmers markets call your local farmers and ask them if they have any seconds available at a discount. Let mother nature do the gardening. A friend of mine practices urban foraging. She will post on Facebook asking if anyone has any grape vines or fruit trees whose fruit they will not be using. It’s amazing how many people have them who never use them, other than maybe eating an apple or two. The rest would go to waste if she didn’t forage them. If you live in the country, ask around to find out where you can score wild blueberries, elderberries, and other fruits and herbs that are available for foraging. Or just buy them from a local farmer! If you’re in the West Michigan area, consider supporting our sponsor, Groundswell Community Farm. You can order extras for freezing on the Groundswell website. With social media, posting a note saying you’re available to pick produce and return with some preserved goods should yield a lot of takers. Great suggestions. Love your tips, particularly “settle for seconds.” So much produce is completely overlooked because it isn’t visually perfect. Our local farmer sells “ugly produce” for this very reason. I buy it just to use and it’s a crazy cheap price + organic!